I live with my husband and father-in-law in Michigan during the summer and Arizona during the winter. All my family live in Cincinnati, Ohio except for my oldest sister who lives in England. I have 2 sisters - one older and one younger- and my brother is the youngest. I have one daughter, 3 granddaughters and twin grandsons. I have a 8 year old Chihuahua named Ginger who is the joy of my days. 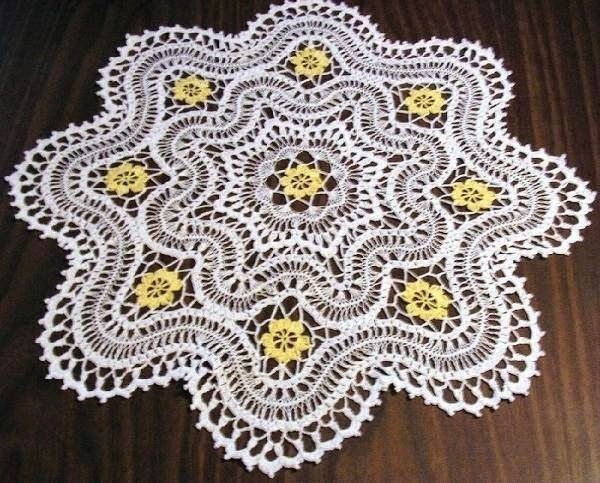 I like to crochet - mostly doilies - and read and geocache. I studied geology at the University of Cincinnati with a 4.0 grade average. My ex late mother-in-law taught me to crochet when I was 17 years old (40 years ago) and the first thing I made was a ripple afghan. The second thing I made was a pineapple doily. 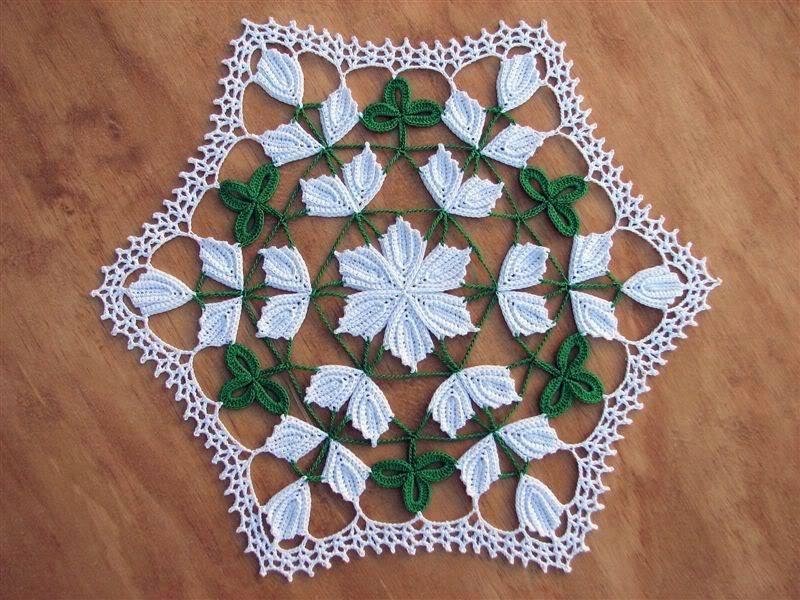 My favorite doily I've made so far is this Hairpin Lace Doily. 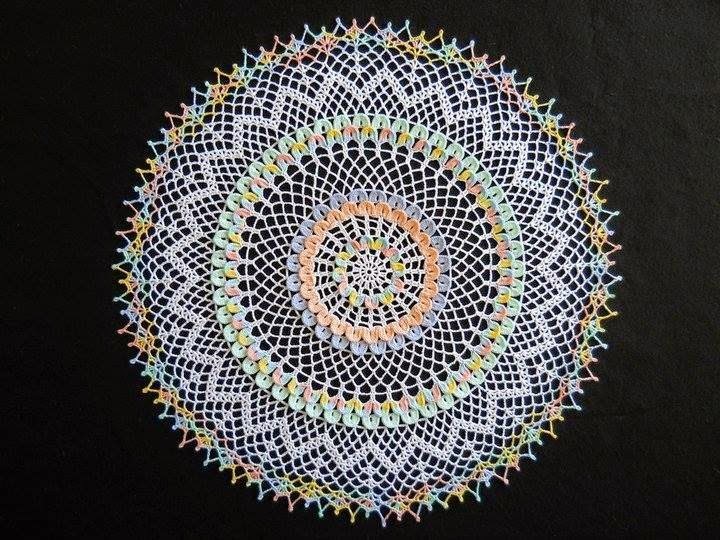 I make on average 12 doilies a year. I love to make them using several colors. I haven't made very many using all one color. My favorite hooks are Susan Bates and my favorite thread is Lizbeth in sizes 10 and 20. I used to not like symbol patterns but once I got used to them I like them the best. 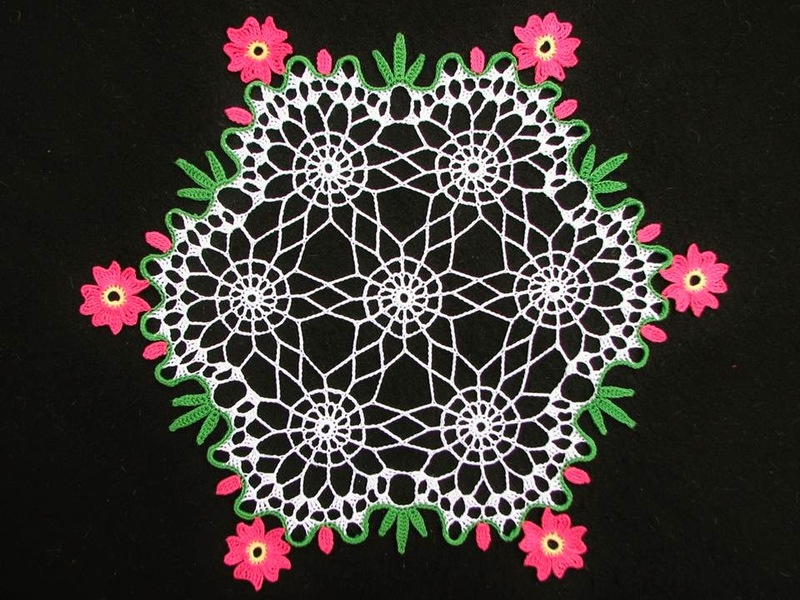 I have all 155 issues of Magic Crochet, and make doilies from them often. 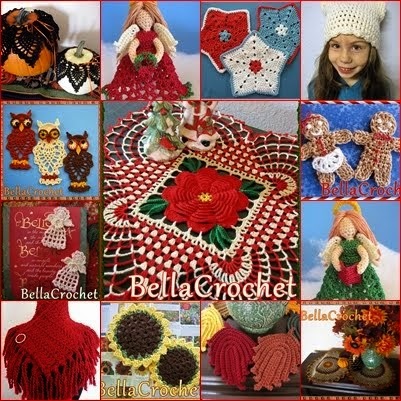 I have a couple of favorite crocheting tips. One is to use rubber knitting needle point protectors for my crochet hooks to protect the hook end. And sometimes my thread starts twisting real bad while I am crocheting. I put a safety pin in the stitch I'm on and hold the ball of thread as high off the floor as I can and let the doily hang as close to the floor without it touching. 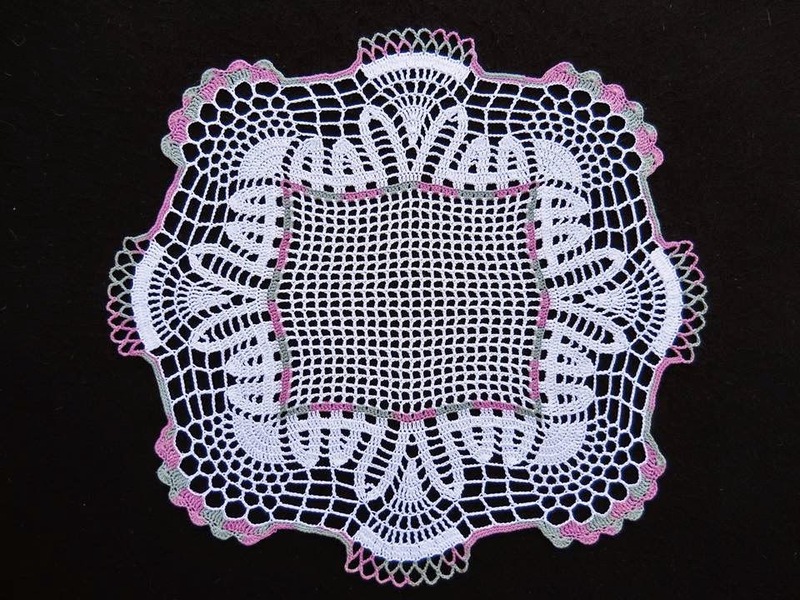 The doily will spin and when it stops spinning the thread from it to the ball will be untwisted. Some thread - especially good quality thread- twists a lot, so I do this periodically when the thread starts twisting again. 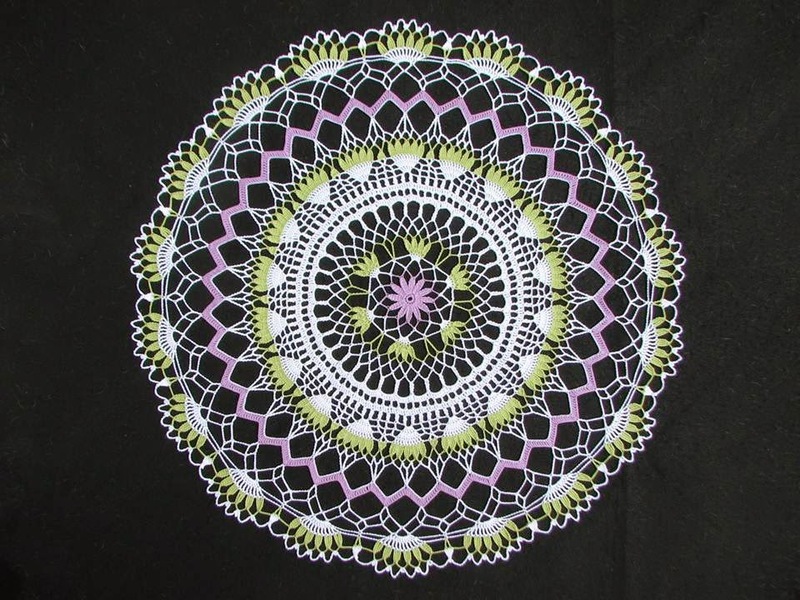 a few doilies with scissors and have thrown some in the trash! Thank you, Pamela, for sharing your expertise and love of crochet with us today! All pictures are used courtesy of Pamela Tasny. Great article. Pamela is so talented and inspiring! Thank you for writing this article about me. I have followed her blog for several years and love her work. I just recently found out that my Facebook friend was actually a blogger friend!